And to add to the fun, Today is also Nonfiction Monday. 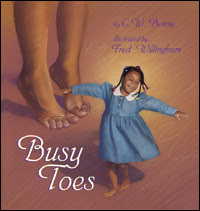 You can find that roundup of children's nonfiction books over at Prose and Kahn. More links will show up all during today, so keep checking back to that blog -- or wait until tomorrow to see them all. Enjoy your last day of 2012 and don't stay up too late tonight celebrating the advent of the New Year. 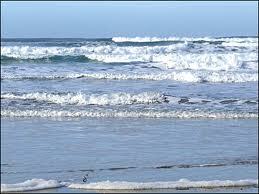 I love being on the beach when the tide turns. When the water stops retreating and begins attempting to eat up the shore again. Lapping higher and higher. Some years ago I was at Nags Head, North Carolina at the turning of the tide. For several minutes there were NO Waves. The sea's edge remained still and the ocean looked like a lake. However, I've not seen this at Del Mar beach in California. Probably because I do my walking where the San Dieguito River pours into the ocean, pushing the waves further and further away from the shore until there is only the river streaming into the ocean. However, the ocean fights back. The tide always returns, pushing back, fighting back, sweeping over the newly exposed sand where dogs and people are playing. This isn't a gradual creeping up the sandy slope. No. It's surge and retreat, surge a bit more and retreat, throwing a Surprise Wave (yes, it's really called that) or two way up the sandy beach then dragging whatever it found back into the sea. For the next time. For the next wave, which tries to reach even higher. At low tide, the beach is 50 to 100 yards wide. At high tide, the waves lash against the pilings and rocks protecting the seaside homes, curling over the first four, the first six steps leading from the houses (or from the public access road) down to the sand. At high tide the waves have conquered the river and are roaring up stream, under the bridge to splash against the Coastal Railway embankment where the river turns. The best time to go to the beach is at low tide, so you can dance with the waves coming ever closer and closer, higher and higher up the beach. The 13-year- old was taking pictures of the sunset with her brand new camera. I was standing further away from the waves, warning her when a big one was coming, hoping she could dance away from the cold, cold water sweeping higher and higher. I didn't get wet, but she did. She did. I hope everyone had a Happy Christmas Day. We began with opening presents with my oldest daughter, her husband and almost 2-year-old son. Then they went north to Oceanside to have Christmas Lamb dinner with her father-in-law. Meanwhile my younger daughter brought her husband over to our house to have Christmas Roast Beast dinner with the 13-year-old (yes, she had a birthday) and me. The topper was when my oldest daughter shared leftover lamb with us in the evening. We had the best of both families this year. I hope your day was stress-free and full of joy. Yes, I know you're too busy to read this today, but I wanted to post the location of the Nonfiction Monday roundup just so that you can amuse yourself later during the holidays by exploring this link. 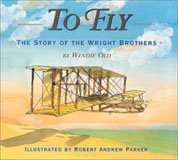 The Jean Little Library blog has collected links to great articles about children's nonfiction for both last week and this week. click on through and enjoy. Each blogger list the books in their roundup collection differently -- The Jean Little Library blog has listed them in Dewey order! But you don't have to be a librarian to appreciate that arrangement. And if you want to see every last Best Of list available for 2012 children's books, check out this post at Chicken Spaghetti. which means it's also time for the annual Airing of the Grievances. MotherReader has the skinny on this over at her blog. There's also info about it in another blog entry of mine. You can add your grievance to her blog -- or post it right here if you wish. My biggest gripe right now is teenagers who think they can stay up at night watching Charmed or some other TV show playing on their iPhone and think they'll be able to get up in the morning in time for school. or in time to go Christmas present shopping. or in time for anything any event happening the next day. Well, if this is the end of the world, it didn't work. Instead, it was the shortest day/ longest night. Which means that everything will get brighter from now on. It's actually the winter solstice -- time to celebrate new beginnings. Travis Jonker has gathered up ooooodles of miscellanea about the events in Children's Literature this year and has posted it on his blog, 100 Scope Notes -- with pictures! I see that she recommends a dog, but if you don't like the doggy smell and all the training involved with living with a dog, I recommend a cat, myself. And for another list of good books, check out the NonFiction Monday roundup at the Wrapped in Foil blog. The 12-year-0ld is finally officially a teen. She is old enough to have a Facebook Account. (However, when she tried to get an account, she got the same answer that I got when I first tried -- Facebook thinks that anyone with such a short last name must be giving a fake name. 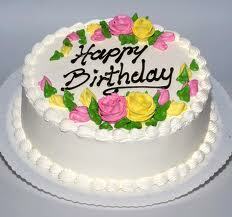 What a birthday party on Saturday! It's been years since I drove a bunch of teens to a movie. The noise of happy chatter in the back seat was almost overwhelming. But the Movie complex was nice and easy to move around and to find where we needed to go, and the movie -- Rise of the Guardians -- was fantastic. We highly recommend it. Mima Tipper, MFA, advises "Be the Lemon Square." Well, this busy writer worked as an assistant to an agent and discovered six amazing tips to make YOUR manuscript stand out from the pack. Want an agent to represent you? Want an editor to love your manustript? Read these tips and apply them to your writing life. "Picture books are here and they're important. I have yet to meet a three-year-old person who didn't know what to do with a crayon. You make pictures with it," declared Chris Raschka, 2012 Caldecott Winner, in his Picture Book Month Essay. Once again, November has something to look forward to. Across the globe, schools, libraries, booksellers, and book lovers are coming together to celebrate the print picture book. 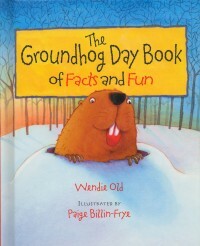 First celebrated in 2011, Picture Book Month was a resounding success. It went viral through social media and was even featured on Oprah.com. are planned. Brain Burps About Books Podcast, the #1 kidlit podcast on iTunes, is dedicating the entire month of November to Picture Book Month. Founder Dianne de Las Casas said, "I'm excited about this year's Picture Book Month. We have an incredible line-up of Picture Book Month Champions and their essays are a wondrous testament to the power of picture books." or use the #picturebookmonth hashtag. "Picture books are the connective tissue between a parent and a child. You stop everything, snuggle up on the couch or the floor and share a story," John Rocco, 2012 Caldecott Honor Winner, wrote in his Picture Book Month Essay. Doreen Cronin, *New York Times* #1 Bestelling Author, wrote, "Picture books bring the world to children, one tiny piece at a time,"
Tune in and read these inspiring essays during the month of November at Dianne de Las Casas's website. Ladies, keep checking the status of your checking and charge card accounts. It turns out that someone (Republicans?) passed a bill recently (date corrected to 2009) that stipulates that when the primary holder of a credit account dies, the account closes. It used to be that if you had a joint account with your husband, you were still part of that account, but no longer. He's dead, so you are legally dead, as well and you can't use the store credit account. Another anti-women action. For years we had equal rights with checking accounts and they didn't have to be in the man's name, but no longer. And here I thought that battle had been fought already in the 1970s and won, darn it. Good-by Macy's credit account. No, I don't want to begin a new account. I had an account with you/ I was the only person using the account/ I had a good credit record with you, but you have declared me a NON-person and closed the account. Therefore ladies, you need to get yourself placed as the primary account holder if it's an account you usually use. Did I ever tell you how much I admire the editor, Cheryl Klein? Well, She realized that her Plot Checklist, which she uses every time she critiques or edits a manuscript, had changed from the original list she had on her website and in her book, Second Sight. In her Brooklyn Arden blog today she points out the changes in her thinking and what's different about her new Plot Checklist. Sayantani DasGupta over at the Stories are Good Medicine blog has written a summary of a speech the well-known author, Bruce Coville, gave at the Rutgers' Council on Children's Literature conference a few days ago. Click on over to see Bruce Coville's 13 rules for writers. While you are reading it, keep in mind that Patricia Wrede insists that "there is no One True Way to write." Ah, Bruce says the same thing -- see number 9.
oh, by the way, it's Nonfiction Monday again. Today, Nonfiction Monday is at the Capstone Publisher's blog. love the writing ... the rest will follow,"
Now, if you click on over to this website called Before It's News, you'll find an interview with her and many more quotes that you'll probably want to treasure, yourself. Here's one of my favorites from this article: "You have to live life to have something to write about. You can always find time to write, but you first have to do some living as well." I call that, "filling the well." The 'well' being the source that feeds your writing. She was interviewed on this website, because she's giving the next Andrew Lang Lecture at St. Andrews in Scotland on November 1st. Wow, I wish I could be in that audience. After you read this interview, do click on over to her website and explore. I love checking in with her by reading her Journal entries, so do stop back every few days to read it, too. There's a new post up at the Blogging Authors' blog, describing and demolishing a lot of those myths that non-writers have about writers and authors. Click on over and find out why Oprah won't call you about your book, and other facts of the writing life. Where was it held? At the world famous New York City Library central branch. You know -- the one with the Lions? (yes, the last time I was in NYC, the first thing I did was get a picture of me standing by one of those lions -- it's required.) Click over here to get a peek at all the wonderfulness of the conference. A few years ago I attended and spoke on a panel at the KidLitCon gathering in Washington, DC when I used to live near there, and can't wait until they hold one in or near San Diego where I now live. If you blog, read blogs, or are an author, this conference always offers interesting and useful discussions. So do plan to go next year. If you are a fan of nonfiction, keep checking back to this blog post. All day long I'll be collecting links to posts all over the KidLithosphere that you can click on to reach all sorts of interesting nonfiction -- books, articles, and blog posts. By Tuesday morning, I should have quite a long roundup here. To kick us off, Lisa at Shelf Employed is relieved that Finally there's a New Book featuring the career of Librarianship -- A Day with Librarians by Jodie Shepherd, coming out from Scholastic 2013. 1) Shh! We're Writing the Constitution by Jean Fritz, illustrated by Tomie de Paola originally published by Harcourt Houghton Mifflin, which shows all the juicy backstabbing stories, the secret agreements and deals (you wanna know just why certain things were left out of the Constitution?) and the heated arguments... Hey, it sounds just like politics today. Poet Laura Salas reviewed a poetry book (of course) on her blog -- Eight Days Gone by from Charlesbridge, 2012. Its a rhyming picture book that tells the tale of the first lunar landing and is perfect for any kids who are nuts about science. Wow, did you know that there are people who run shelters for abused city chickens? Louise at Nonfiction Detectives discovered that this is what the book, City Chickens, by Christine Heppermann (Houghton Mifflin, 2012) is all about. Amy at Hope Is the Word talks about Island, a Story of the Galapagos written and illustrated by Jason Chin, a new book at Roaring Brook Press, 2012. Fascinating story of the evolution of these islands from their volcanic birth to their eventual disappearance, including the development of variations of life on them. Two books about Abraham Lincoln are reviewed by Alice at Supratentorial. Lincoln Tells a Joke by Kathleen Krull and Paul Brewer focuses on Lincoln's sense of humor while What Lincoln Said is a picture book biography. Jennifer at the Jean Little Library blog brings our attention to Moonbird by Philip Hoose which follows this bird's year long trip as it flies practically around the world -- from Tierra del Fuego near the South Pole all the way to the Arctic in the north. Although most sea birds lay their eggs on a rocky shore or in a burrow, author/ illlustrator Joan Dunning discovered one that does not. Deborah at The Swimmer Writer blog reviewed Joan's book: Seabird in the Forest, the Mystery of the Marbled Murrelet, published by Boyds Mill Press, 2011. Oh boy. I love holidays, don't you? Then you might enjoy the gorgeous Lighting Our World: A Year of Celebrations by Catherine Rondina illustrated by Jacqui Oakley, published by Kids Can Press, 2012. You'll find Perogyo's review for it over on the Perogies and Gyoza, adventures in books and bilingualism blog. Sue at Archimedes Notebook checked out tales of animal tails today with What Do You Do with a Tail Like This? by Steve Jenkins and Robin Page. Houghton Mifflin, 2003. Sounds like FUN. Over at True Tales and a Cherry on Top, Jeanne features the impossibly wonderful Magritte's Marvelous Hat which was inspired by a real person -- the surrealist artist Rene Magritte. Written and illustrated by J.B. Johnson, Houghton Mifflin Books for Children, 2012. Shirley at the Simply Science blog didn't just review a book -- she asked the author, Darcy Pattison to be a guest blogger today, TALKING about how she researched her book, Desert Baths (Sylvan Dell, 2012 illustrated by Kathleen Reitz), and the animals she met. How did she manage to include the desert Tarantula in her book even though it never needs to take a bath? Click on over to see. All About the Books with Janet Squires reviews The 13 Nights of Halloween, written and Illustrated by Guy Vasilovich (Harper, 2011). Inspired by The 12 Days of Christmas, Vasilovich gives his young readers a ghoulish countdown to Halloween. 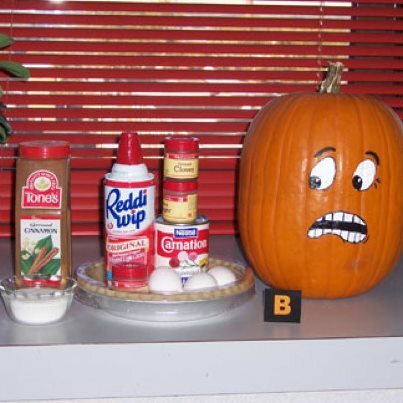 "On the first day of Halloween, my mummy gave to me...." Ooooh, I like it already. A review of The Emily Sonnets: The Life of Emily Dickinson by Jne Yolen and Illustrated by Gary Kelley is at the Wrapped in Foil blog today. This is a lovely book of 16 sonnets that reveal the life of poet Emily Dickinson. Should this book be shelved in biographies (a picture book biography), or in the poetry section of your library? Roberta's review makes the case for both. What do you think? 1) Ballpark written and illustrated by Lynn Curlee, Athenum, 2005. Are all ballparks the same? Not according to this book. Ballpark stadiums are a vital part of baseball and yet they are hardly ever shown or mentioned on TV. But your avid baseball fan will love knowing all the background facts revealed here. 2) Heroes of Baseball: The Men Who Made It America's Favorite Game by Robert Lipstye, Athenum, 2005. Why did nobody like Ty Cobb, even though he was probably the greatest baseball player who ever lived? Hey, did you know that Yogi Berra was not his real name. You can find this out and much much more in this book about famous and not-so-famous baseball players. That's All Folks. Thank you for coming. Labels: Enjoy nonfiction, Nonfiction Monday, Nonfiction Monday is here, What the heck is Nonfiction Monday? Agent Jill Corcoran talks at Jill Corcoran Books about the book market and how you can write a book to not only sell to an agent, not only sell to an editor, but that the public will buy and enjoy and want more, more, more. Confused about the difference between the Trade market and the Educational market for books? Laura Purdie Salas explains it all in this post on her blog Writing the World for Kids. Oh, she's also written many poetry books and since today is Poetry Friday, and since Laura is also the host for Poetry Friday, Check out the Friday roundup of Poetry at Laura's Friday post which should be here. - and check back again this evening when all of the poetry blogs have checked in to the roundup. Well, here's some help over at the Blood-Red Pencil blog. There has been lots of discussion of the Common Core standards for nonfiction books. Here's another aspect/ definition / whathaveyou.... from famed nonfiction writer, Melissa Stewart on her blog called Celebrate Science: Behind the Books. Which kind of nonfiction do you like the best? Narrative or Just The Facts. What about the idea that you can get lots of facts from narrative nonfiction? The September Carnival of Children's Literature is now available for your enjoyment at the Picturebooks in ELT blog. Click on over and watch out -- the owner of that blog got so excited by the books mentioned in all these blogs that she waaaay overspent buying them for herself at a bookstore! My family has used your service for years. (and years and years. In fact, we had one of the first telephones in town way back when you knew the lady at the switchboard and everyone shared party lines.) Even when all the Baby Bells broke up and upstarts were created, we stayed with AT&T for our long distance service. So, when my husband died, I set about changing all the family bills from his name as head of household (but didn't you notice who was the finance manager of the household? ), from my husband's name to my name. Just delete and replace a name, right? Not to worry, they said. You'll get the money back -- NEXT YEAR. You can believe that I've made a note in my calendar on September 2013 to expect a check for $1500 from them. More information about the new Common Core standards: At Bookends this morning, Cindy and Lynn share what they are doing to supporting Common Core implementations and they list some helpful resources from Booklist magazine. Links to other Nonfiction Monday book reviews are being gathered at A Teaching Life blog today. Click on over and see what's there. Nonfiction Monday is being held at the Wrapped in Foil blog today. Click on over and see what's new. Mow Yard. Drop Off Kids. Take a Drive on Mars. PASADENA, Calif. — Matt Heverly, 36, started a recent workday as any young father might: up at 5:30, gulping coffee, fixing a bottle for the baby. He threw on jeans and a T-shirt and drove his two sons to day care. He stopped to get the brakes on his Toyota checked and swung by the bank. Then he went to the office ... to drive a $2.5 billion robot on Mars. Mr. Heverly leads a team of 16 drivers at NASA’s Jet Propulsion Laboratory here. Together, they are responsible for steering a six-wheeled, plutonium-powered rover called Curiosity across the Red Planet’s Gale Crater. Equipped with futuristic tools like a laser that can vaporize rock, the 2,000-pound robot arrived on Mars on Aug. 6, and Mr. Heverly took the wheel — or computer keyboard, actually — on Aug. 22. “Driving” a rover might be a misleading term. There is no joystick or accelerator, for a start. Mr. Heverly and his teammates tell the vehicle where to go next by entering hundreds of computer commands. Also, the driving is not done in real time: during the Martian night, the team plans where to send Curiosity next and sends instructions via radio transmission as the Mars day begins. Then the drivers go home, back to life on Earth, with all of its “don’t forget to take out the garbage” mundanity. “You have to try not to think about what’s happening out there, which is, of course, completely impossible,” Vandi Tompkins, 39, one of the drivers, said with caffeinated exuberance. Curiosity’s drivers are only a small group within NASA’s Mars exploration program, which investigates the Martian climate and geology and oversees an older, more rudimentary rover, Opportunity. Several thousand people work on the Mars program, but it was 30 or so Curiosity team members who struck a worldwide chord last month when NASA shared video of their reaction to the rover’s landing. In many ways, this is like any other office: gray industrial carpeting, fluorescent lighting, cramped cubicles that are mostly undecorated, unless you count empty cans of Red Bull. A small pantry has packages of dried fruit snacks. There is the occasional potluck dinner and an office softball team; at a recent game, everyone wore fake mohawks to tease Mr. Ferdowsi. There is also a quiet cockiness. “We definitely win the coolest job contest at cocktail parties,” said John Wright, 56, a Curiosity driver who had reported to work in a baseball cap, a T-shirt and shorts. The job can be grueling. For at least the first three months of Curiosity’s multiyear exploration, the drivers will be living and working on Mars time. The Martian day, called a Sol, is longer than a day on Earth by 39 minutes and 35 seconds, which adds up quickly; morning on Earth becomes night on Mars within a couple of weeks. For the drivers, keeping this schedule is like moving two time zones to the west every three days, tossing them into a perpetual state of jet lag. “I’m kind of so sleep-deprived at this point that I’m beyond the point where caffeine helps,” Mr. Heverly said. Mr. Heverly became a driver in an amusingly simple way. He started working at the Jet Propulsion Laboratory seven years ago after obtaining a master’s degree in robotics from Boston University. “And one day they literally sent out an e-mail that said, ‘Does anybody want to drive a rover?’ ” he said. He raised his hand (“Like, duh”) and, after a year of training, began commanding Opportunity. 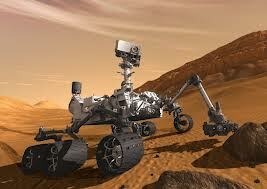 He worked with that rover for four years before switching to Curiosity. Who decides who gets to drive and when? Drivers are scheduled by supervisors several weeks in advance, with attention paid to having some of each of people who specialize in certain rover functions: mobility, arm, turret. Up to half a dozen drivers work any one shift. Workdays have a rigorous time structure. Curiosity beams down a report at 4 p.m. Mars time (one recent Thursday, that meant 1:44 p.m. Pacific time) of how its drive went. A group of analysts has 15 minutes to figure out if everything succeeded, a self-imposed deadline to get the planning for the next day’s drive moving quickly. Scientists — there are about 400 working on the Mars mission — evaluate the data, which usually includes pictures from onboard cameras. Drivers arrive and meet with scientists to discuss where the rover should head next, perhaps 15 feet toward an indentation in the soil that looks interesting. Because they are essentially driving Curiosity blind, they initially have to move slowly, a maximum of 30 feet a day; eventually they will be able to cover about 300 feet a day. Once a plan has been formulated, drivers stare at the images they have of the Martian terrain with 3-D glasses to scout for potential pitfalls (“How afraid are we of that rock?”) and use computer animation to simulate a route. Then they enter hundreds of commands to execute the next day’s drive, which can require calibration of movement in gradations of centimeters. They message the rover, hoping that it understands and that no one entered an incorrect code. Mr. Heverly, turning white, recalled “a nightmare scenario” with Opportunity. One day, scientists decided that they wanted the rover to back up. Based on the commands Mr. Heverly entered, Opportunity understood that it needed to return to a spot a few feet back. “But instead of simply backing up, it decided to drive around the entire planet to get there,” Mr. Heverly said. Luckily, an automated safety function kicked in and stopped the rover before it could go very far. Nonfiction Monday is being held at the BooksTogether blog today. Click on over and enjoy reviews of great nonfiction books. Ever wonder what's in an editor's mind when they look over a manuscript? Editor Cheryl Klein, in her blog Brooklyn Arden, describes her own editorial process -- how she examines the work sentence by sentence, even word by word. Hey, the August Carnival of Children's Literature is up. Click on over to proseandkahn and enjoy! Click on over to Simply Science and find today's links to children's nonfiction. Look at the fun everyone was having while I was busy sorting through four generations of "stuff" and packing for my move to California. Linda Sue Park organized a Flash Mob at the National SCBWI conference held the beginning of August. Fun! This blog post about reading eBooks without having an eReader at Laura Kaye Author is aimed at Romance Writers, but I would think these links would be useful for readers of all types of books. Check it out. Hey, she also has links to getting Kindle or Nook eReader software on your smartphone! --Once you think your speech is written as well as you can do it, change the typeface to a large font. 20 or 30 point. That way you can see phrases easily. --practice your speech in front of your dog or cat. or some appreciative audience like that. Not people at first. (actually, I don't even do this. But I do read it aloud to make sure that what I have down on paper is word for word the way I'm comfortable speaking. --once you are confident you know your speech, you might not need every word typed out. Retype it with key phrases which will get you going on the idea you want to convey. You only have to deliver things word-for-word when you are doing a "reading" of your creative work. Speeches should look and sound as if you were talking off the cuff to friends. Comfortable/ informative/ etc. -- Double space. Indicate what powerpoint slide should appear at this point. double space. back to your typed lecture. It's like dialogue. It breaks up the blocks of typeface with white space and makes the whole thing easier for you to read and follow. Oh, and remember to number your pages, so that when you gather up the sheets of paper you can put the speech back into its original order. -- Before your lecture, warm up your voice/ vocal cords. Don't sing scales -- hum them -- up and down. Then do some tongue twisters to get your lips and tongue active and flexible. The one I was taught was -- One little eagle slipped out of the nest while another little eagle slipped in. It exercises all parts of the mouth. Pick those pickled peppers, too. -- also HUFF. blowing air from your lungs, past your vocal cords, and out your mouth. This will blow any accumulated gunk off the vocal cords. -- drink only water that day and during your speech. (no milk. no soda) Water lubricates your vocal cords and also dissolves that gunk. -- The lectern is your friend. It holds your speech papers at the right angle for you to see it easily. -- Glance down at your speech paper. Grab that phrase/ thought/ sentence with your mind. Then look straight at your audience and deliver the sentence/ paragraph/ the ramble that the phrase has keyed in your mind. You may think that this will make a huge pause/ white space in your speech, but the audience will NOT notice. -- in fact, short pauses like this helps the audience catch up with you, digest what you said the moment before, and react to what you just said. -- Deliver your phrases to different parts of the audience. Right/ left/ center/ back of the room. -- It helps to keep your finger on the speech paper so that when you actually do return your eyes to the next paragraph/ thought, you will be in the right place instead of skipping an important point. --That being said, it also helps to occasionally move away from the lectern/ turn away from the audience in order to gesture or show/ demonstrate something/ to point at something on the screen of your powerpoint with your little laser pen. This keeps the audience from being bored. -- Try to believe that the people who attend your speech are on your side. They Want you to succeed. They came because they wanted to hear or see You. They also are hoping to learn something. Okay, if this is a visit to a school, they were probably told to come, but hey, it's a break from their schedule and they are prepared to enjoy it. WOW. I just found some great advice about writing cover letters when you submit to publishers. Check it out on the Literally Advice blog. There's great information all over the internet today about the landing of the new Mars unmanned explorer, Curiosity. You can read about it here on Ana's Nonfiction Blog, and on YouTube, and here on the NASA website. The exciting thing is that I know a writer who was in the NASA ready room in the midst of cheering scientists as Curiosity landed. For more Nonficiton Monday connections, click on over to Shelf Employed today. "If there's more than one way to do a job and one of them will end in disaster, then somebody will do it that way." "If something can go wrong, it will." If you'd like to discover all sorts of newer nonfiction books, click on over to Perogies & Gyoza. 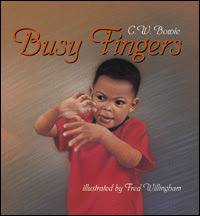 You'll find links to all sorts of children's nonfiction books there. Pictures on your blog. Are you violating copyright? Interesting post over on the blog, For the Fearless Romantic. She has been sued for using a picture from Goggle Images. We all know that using pictures in your blog posts makes them more attractive, more interesting to read. So we all jump over to Google Images to find one. A simple click or two and -- presto change -- it's imbedded into your blog entry. I mean, why would a picture be there if it wasn't being offered to others? Well, she doesn't know the answer to that, but she does provide a lot of answers about how you can avoid violating the copyright of the photographers who posted the pictures. I'm a bit busy this week and haven't reviewed a book here, but if you want your nonfiction fix just click on over to the blog -- A Curious Thing -- which is hosting Nonfiction Monday this week. enjoy. "Today's High was 105°F at 3:45pm when conditions were Partly Cloudy." Similar prediction for tomorrow, but a cold (?) front coming through with thunderstorms toward evening is supposed to whap that hot spell down to more normal temperatures. Fireworks to the South of us and a full moon rising in the east, 88 degrees with no mosquitoes, watching the fireworks with my two grand-girls -- what could be nicer on the Fourth of July?